Nestled in the new subdivision, The Tenth Hole Estates, you’ll find the newly constructed 62 Augusta Circle. Not only have Engrav Manion Builders created a new standard of living in the ways of construction with this home, but it also comes complete with beautiful green views of the Country Club Golf Course. Just beyond the golf course, behind your neighborhood you’ll soon start to see the new Field of Dreams Park going up.The entire area is going to be magnificent, especially for the active, outdoors family and you’ll find yourself just down the street from town as well! 62 Augusta Circle was just completed in August of this year, fully last weekend actually! 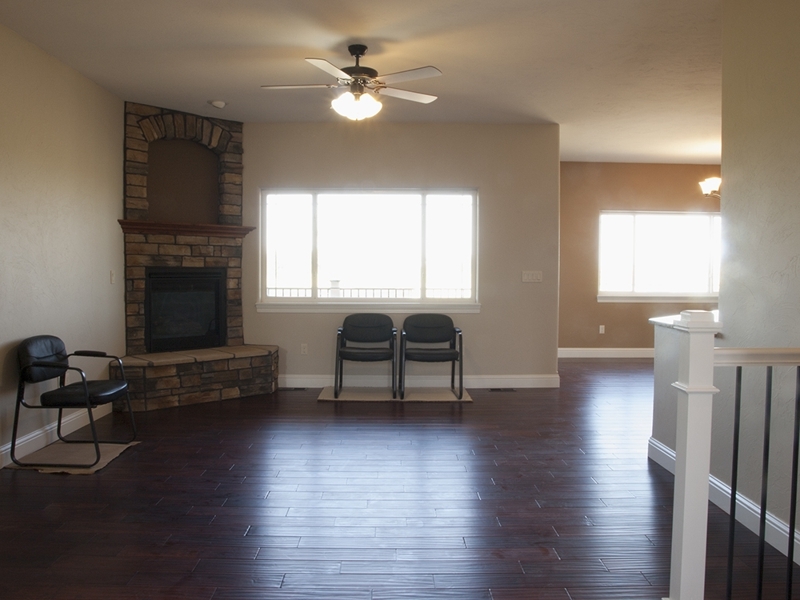 The home has an amazing floor plan with amazing views to match that we mentioned above. 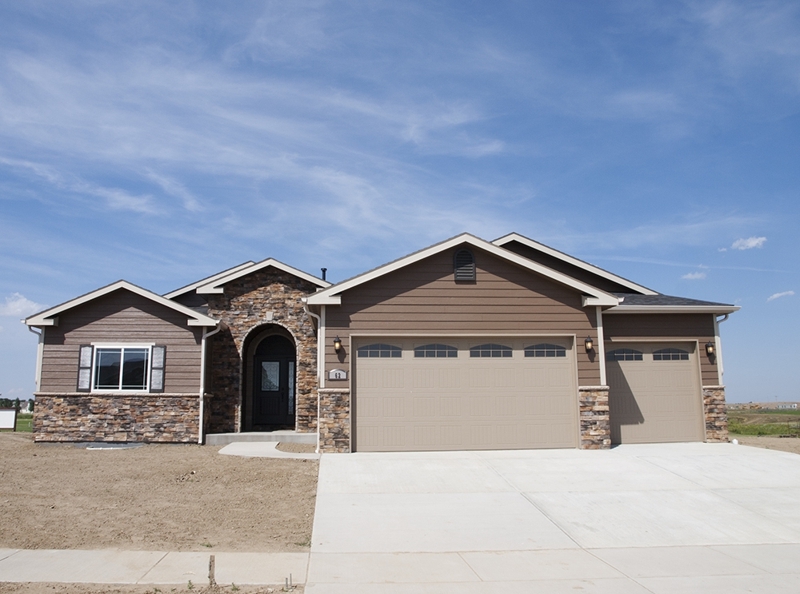 The home sits at 3,083 total sq ft with 1,575 sq ft finished all on the main level. The rest of the square footage comes with the unfinished basement. It sits on 0.17 acres. The home has 3 bedrooms and 2 bathrooms currently, though there is always the option of having the basement finished by the builders. Their plan would give you another 2 bedrooms, 1 bath, and another finished living room downstairs. 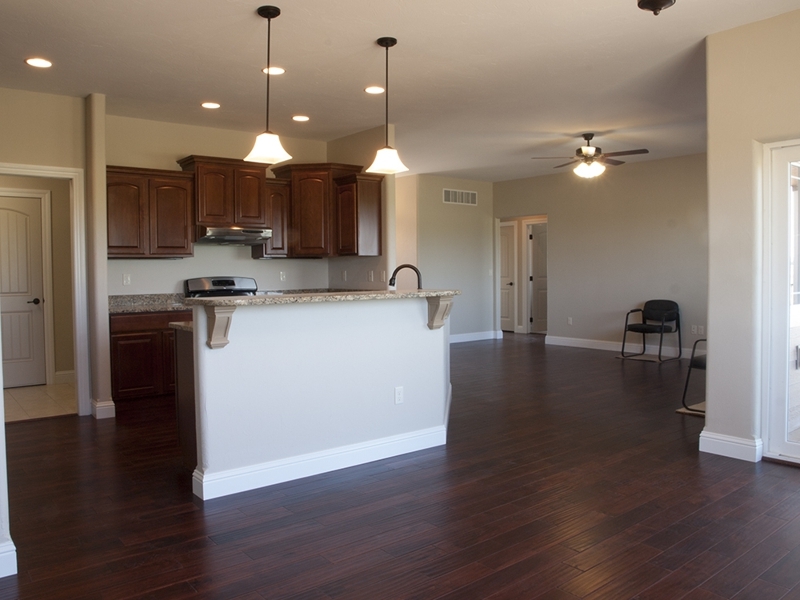 There are 9 ft and tray ceilings, custom textures, granite, beautiful dark hardwood and tile throughout the home. Bedrooms are all carpeted. 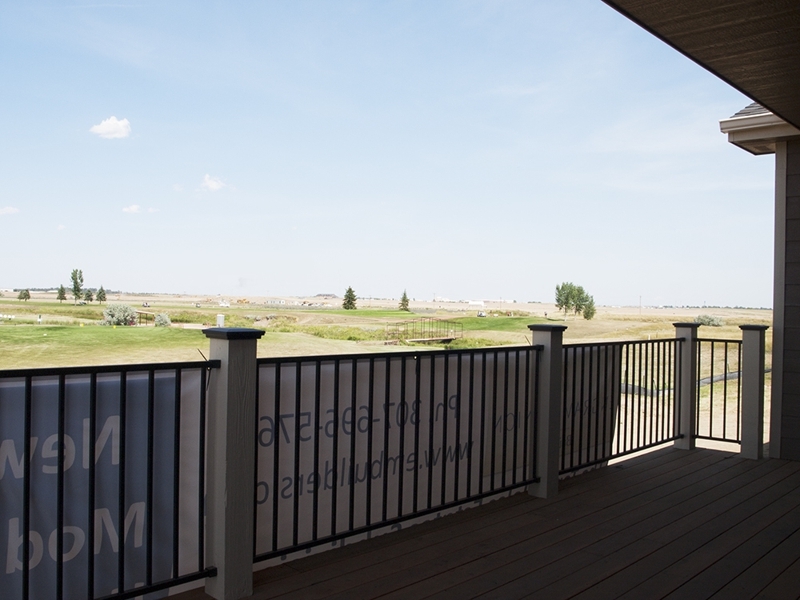 There is also a covered deck to enjoy your views. You’ll also note a beautiful corner fireplace, decorated by stone the mimics the outside of the home. 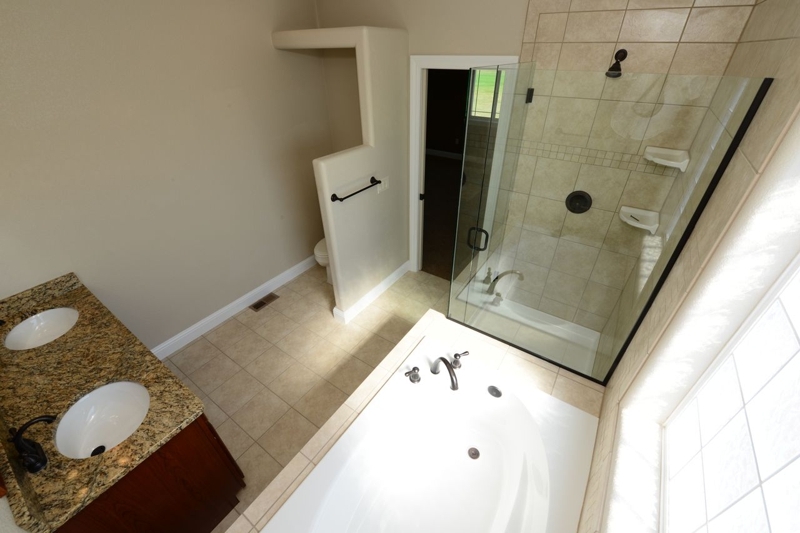 Attached to the home you’ll find an over sized 3 car garage – entry into the laundry room of the home. If you’re interested in more information or just want to see more pictures of this amazing home please feel free to visit our website and search for 62 Augusta! If you have questions, as always, we’re here! 🙂 You don’t want to miss this newly constructed home and the standards being set by it in the area!